BEING REGULATORY COMPLIANT IS YOUR RESPONSIBILITY. MAKING YOU REGULATORY COMPLIANT IS OUR BUSINESS. Back Thru The Future’s SHE service is an annually contracted service for pre-scheduled data media destruction events. It provides a turnkey solution for the regulatory (HIPAA, GLBA, and other data privacy laws) required destruction of personally sensitive information recorded on obsolete hard drives and other data media. SHE represents your required “Data Asset Control System” for the entire information disposal process. A data asset control system must be able to locate all stored sensitive data and be able to prove that the sensitive data is secure. An auditable chain of possession must be developed from the inception of control of the data asset to the final destruction of all recorded sensitive data. We provide both the inventory control system and secure containers for the collection and storage of the media. Based upon your needs we select a secure container size and establish a destruction schedule. The destruction normally occurs onsite utilizing one of our custom designed mobile hard drive shredding vehicles. Shredding is considered the most secure method of destroying data on media and complies with the National Institute of Standards and Technology (NIST) “Guidelines for Media Sanitization”. The shredded material is then transported to our NJ DEP licensed electronic recycling facility for the legally required recycling and disposal. Data destruction certification and environmental compliance certification are provided in digital form. All chain of possession inventory control documentation is generated on hand held tablets and electronic counter signatures are generated at all points of physical transfer of the media. All of this information and all project correspondence is collect and stored in our “Compliance Library” cloud based document archive. You are provided with password protected access to all of these records which include an annual “totalizer” management report providing Y-T-D utilization statistics. Both federal and state data privacy regulations require that you provide annual “Best Practices” training to employees who handle personally sensitive information. Back Thru The Future provides this training as part of our SHE service. For new SHE clients we provide training as part of our “on boarding process” and again when we deliver your first secure containers. For existing customers, we provide webinar video conference training sessions through out the year. 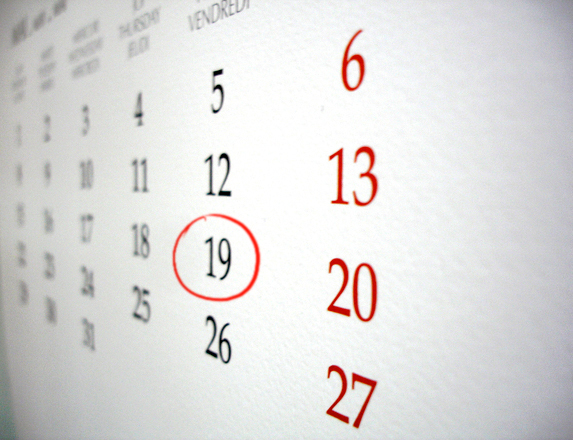 We normally schedule your annual event during the annual SHE contract renewal process. We provide a certificate for the successful completion of training with the names of the employees trained and the date of the training. These certificates are provided to you in digital form and we store them in your Compliance Library folder for easy review and access. The SHE process also provides valuable litigation protection. Whenever you destroy data you must be concerned with “spoliation of evidence” charges. The Federal Rules of Civil Procedure, governing litigation-based electronic data discovery procedures, requires you to maintain auditable proof of following a formal records retention policy that provides for automatic destruction of obsolete business records. This is essential to qualify for the “Safe Harbor Data Destruction” exemption from the risk of court sanctions for failing to implement a “litigation hold”. Our SHE service provides this evidence and actually derives its name from this exemption. SHE is in full compliance with the American Records Management Association (ARMA) guidelines for the destruction of electronic records. Back Thru The Future was a member of the ARMA committee that established these guidelines. Back Thru The Future® is NAID AAA certified for the secure data destruction of hard drives for both plant based and mobile operations. We were the 1st electronic recycling business in the US to receive this certification and remain the only licensed electronic recycler in the NY metro area with this certification. This is a valuable tool for documenting vendor due diligence. Back Thru The Future® is a Federal EPA and NJ DEP licensed Universal Waste (a form of hazardous waste) Destination Facility for the recycling of consumer electronics. Hard drives, SSD and PDAs/Cell phones are identified as electronic devices. The SHE agreement includes our authorized environmental compliance certification for the regulatory required recycling of electronic devices. Inadvertent destruction of electronic information subject to an electronic data discovery litigation hold event can be very embarrassing and expensive. Absent exceptional circumstances, a court may not impose sanctions on a party for failing to provide electronically stored information (ESI) lost as a result of the routine, good-faith operation of an electronic-information system. The SHE Service Saves Money, Time and Provides Valuable Protection from Failure to Follow Regulatory Guidelines. Why Not Contact Us for a SHE Quote? Failure to promptly destroy obsolete data media can lead to major legal “dormant liability” which is the unknown, potential legal liability associated to data caught in an electronic data discovery litigation hold event. Back Thru The Future’s Safe Harbor Express® scheduled data destruction service will dramatically reduce this legal risk.